The board of executive directors of the World Bank met last week to discuss the selection process for the next president of the World Bank Group. The search for a new leaders follows the announcement that current president, Jim Yong Kim, will be stepping down from his position on 1 February. The executive directors expressed their appreciation to President Kim for his leadership of the World Bank Group and its significant accomplishments during his tenure. 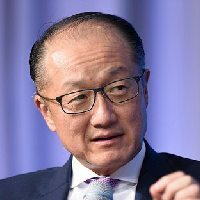 The World Bank Board affirmed its commitment to an open, merit-based and transparent selection process. • effective and diplomatic communication skills, impartiality and objectivity in the performance of the responsibilities of the position.